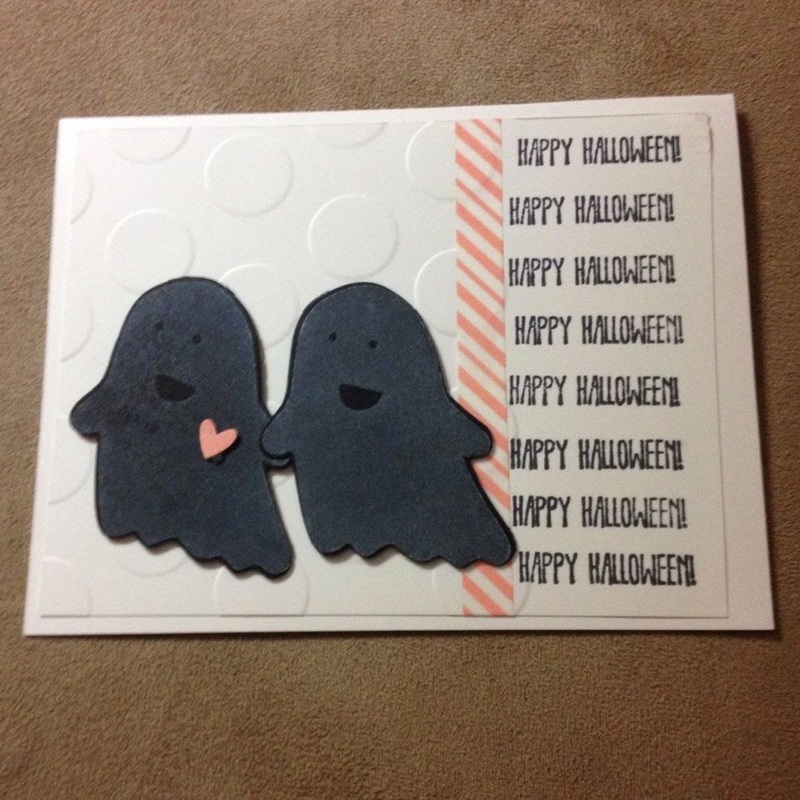 **Photo Heavy Post - lots of cards, my designs are at the end! Keeeep reading! Please and Thank You! 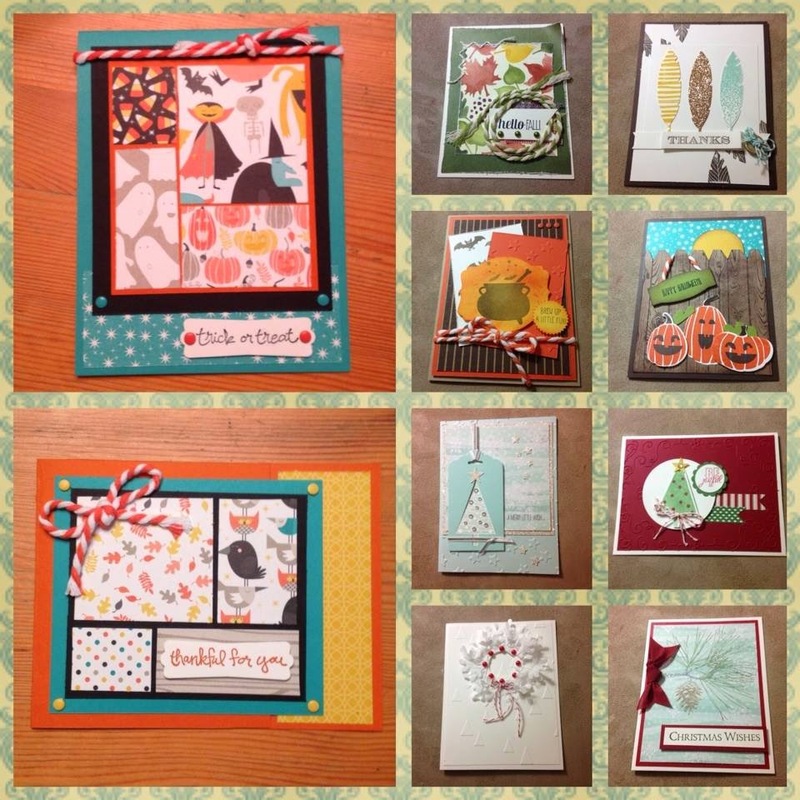 My two cards and some of the awesome cards I got to make! 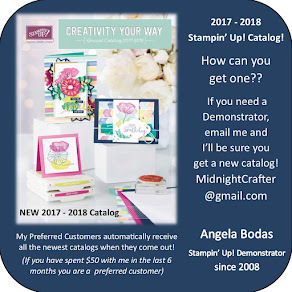 The idea of the party is that each Demo designs a card using Holiday Catalog items, then packs a shoe-box with the inks, stamps, embossing folders, punches and/or framelits for the card - everything but the paper & embellishments, basically. 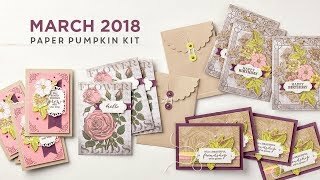 We bring our paper and tools, then we swap boxes and make the cards! Its nice because you get to use sets you maybe didn't get (yet;) and we try to swap and share DSP or embellishments so everyone can go home with a sample. I love that we can make these ourselves, being free to change up or follow the sample closely. Our hostess Bev has an amazing craft room, its chock full of inspiration!! 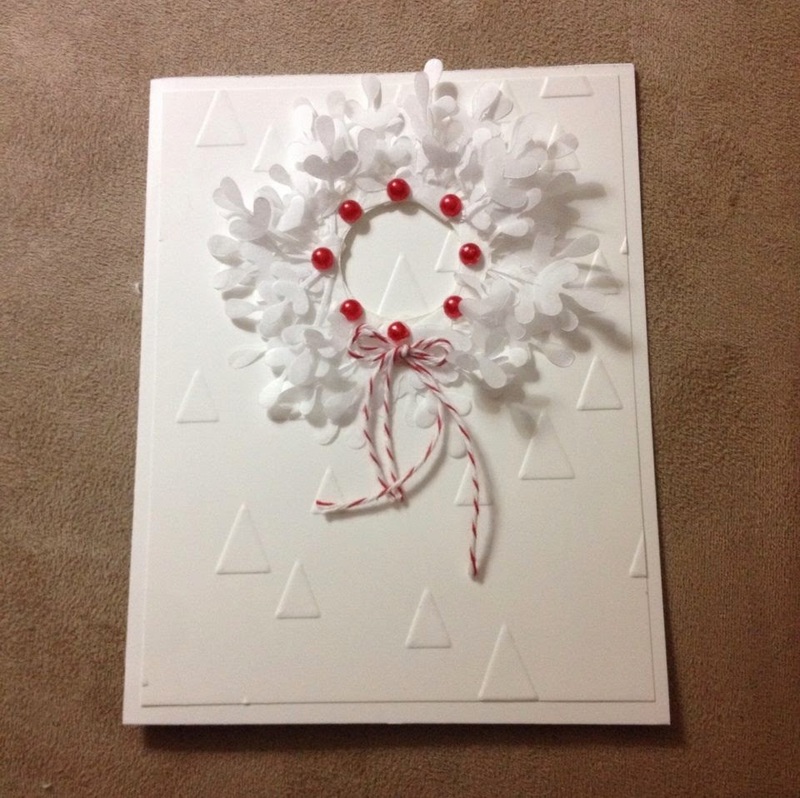 These are the cards she designed for us.The wreath card is made by punching the snowflake from tissue paper, folding it in half, and adhering it to a circle die cut from the Circle Framelits. 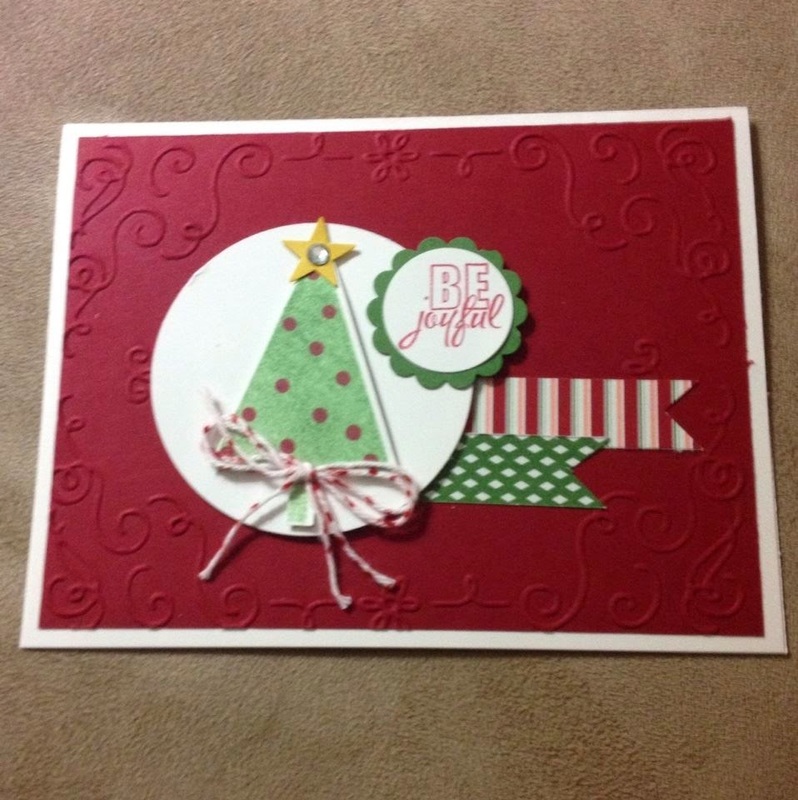 This next card is by my Upline Julie Douglas, I love the stars on the Motley Monsters Designer Series Paper! 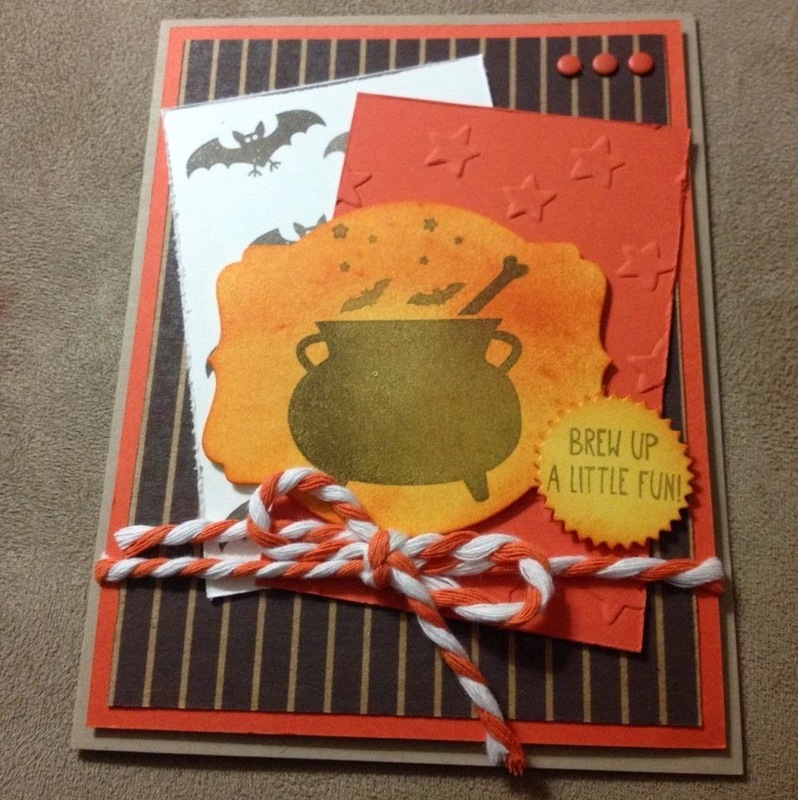 This is a very detailed card, but the finished product is just adorable!! 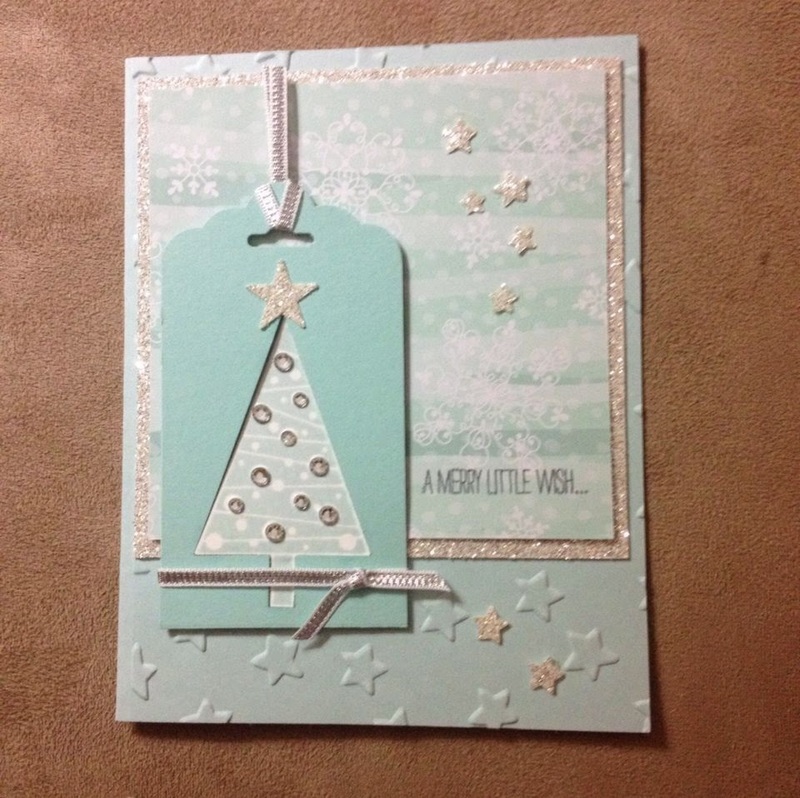 This beautiful card was designed for us by Kim Molesworth. I love the color scheme from the DSP All is Calm. And the Tree punch is going to be awesome!! These two cards were designed for us by Lorraine Toll. Very colorful and festive! 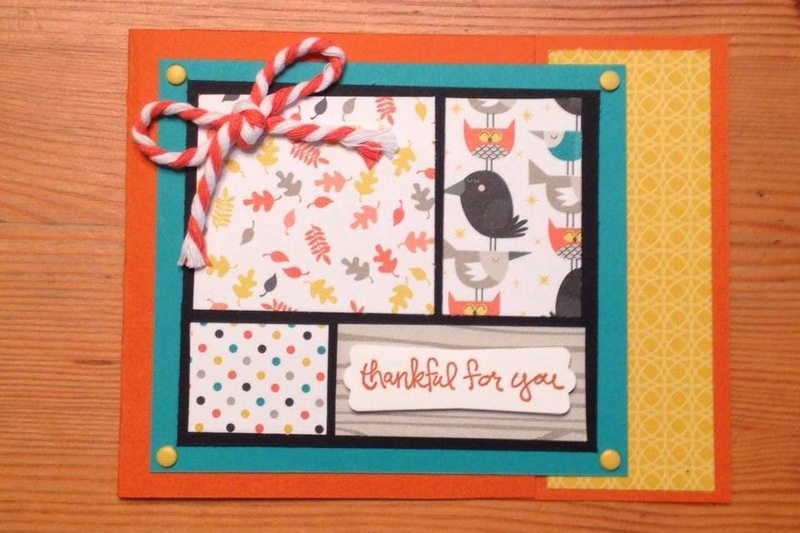 This card was created for us by Cary Farruggia. It uses the new heavy weight Under the Tree DSP for the background. Spooky!! 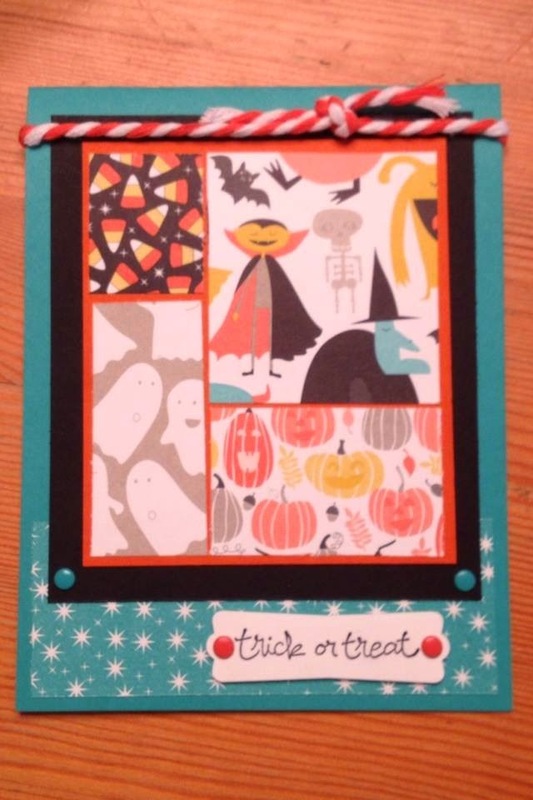 I did two cards with basically the same layout, but used different patterns to show the Halloween/Fall possibilities. 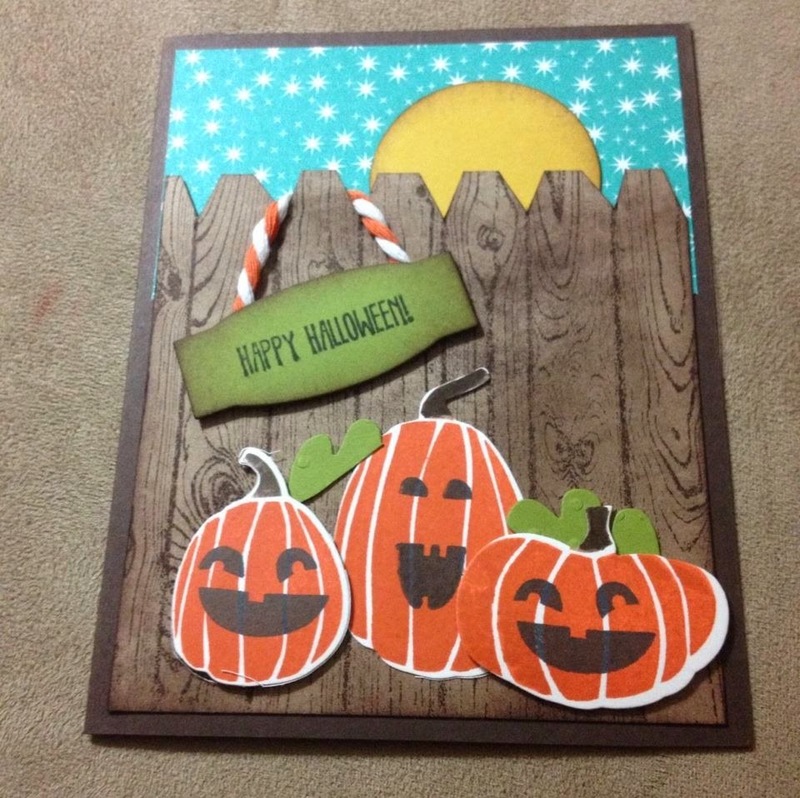 The Good Greetings set will work for almost every holiday in the year, and a few other cards! Great set!! Get ready to shop this Thursday!! !